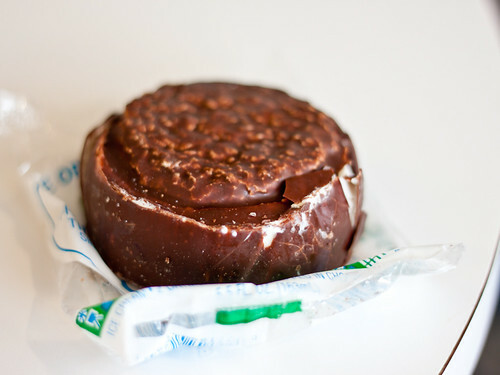 YAAAY OMG YAAY AWESOME I love those things. yeah..but you also got 3 grams of fiber! They were very delicious, too bad Google hasn't decided to turn a little extra profit by selling them. I'm tagging along again next time you go. I especially love the secret elevator ride up to the It's-It chamber. 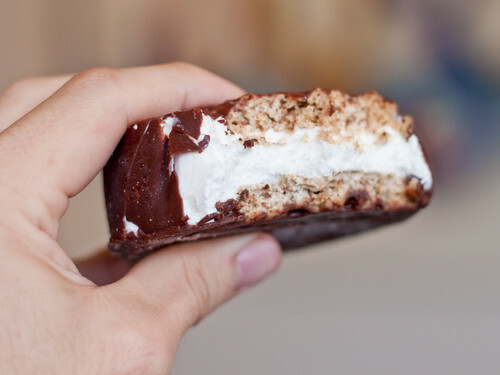 Oh, look, it's the floor that consists of nothing but ice cream sandwiches! This is one reason I'm fine with Google owning a large share of my brain someday -- they know that it's fundamentally linked to my stomach. If you live in Southern California, you can find them at Albertsons. Rodzilla - HOW COULD I FORGET ABOUT THE FIBER! Don't go to SoCal. Come to San Francisco. We have In-n-out too (although not as many). And we have gigantic burritos. 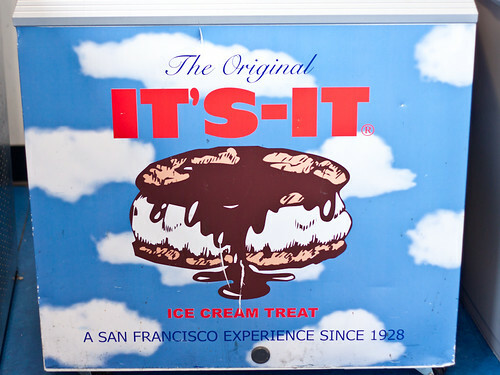 And we're the home of It's-Its, the real San Francisco treat. Anonymous - if I could find a job there... I'd go in a heartbeat. Also really good Asian food too. Problem is... finding a reason to go out there. 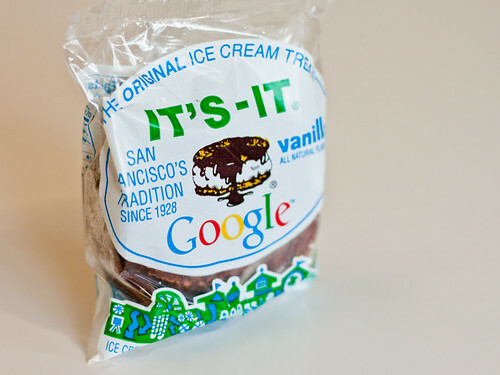 OOOOOO I wanna go to Google and eat Its It TOO! If you replace - with H, it becomes somethin' else. =) just sayin! esther - great... now I'll think of that next time I have one.